Private lessons can be taken in any style of dance with your instructor of choice. They can be purchased by packages from 5 – 10 or even single lessons. Semi privates are private lessons booked with 3 or more students. We do our best to accommodate your schedule when booking. Payment is required in full for all private lessons, when purchasing a package of 10 lessons, payment can be made in 2 instalments. 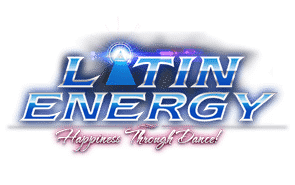 I will not hold Latin Energy Inc. or any of its associations accountable for any injury or accident that occurs in or around Latin Energy Dance Studios / Oplenac, Serbian Cultural Association 895 Rangeview Rd.Mississauga, ON L5E 1H1. I agree that children are not to be left unattended at the studio unless within the hours of their appointed dance class. I accept and understand the terms under which Latin Energy Inc. allows me to record the summary of the steps taught in any class I’m currently participating in. 1.I will only use the video for personal development, to help me remember the proper movement shown in class. must send an email to [email protected] to notify the teacher in advance. Without notice, there will be no credit for previous missed classes. When purchasing a package of private lessons, please note that all packages expire 1 year from the start date, regardless of lessons activity.If the student is unable to continue with the lessons purchased, he/she may transfer the package to someone else. A 24 hour cancellation notice is required. If the student misses a private lesson without the 24hr notice, there will be a $25 cancellation fee charged. Latin Energy will be happy to provide customers with a company credit that can be used within 6 months when a student is physically unable to attend class. Please note there are no refunds available. I have read and agree to comply with the policies set forth by Latin Energy Inc.